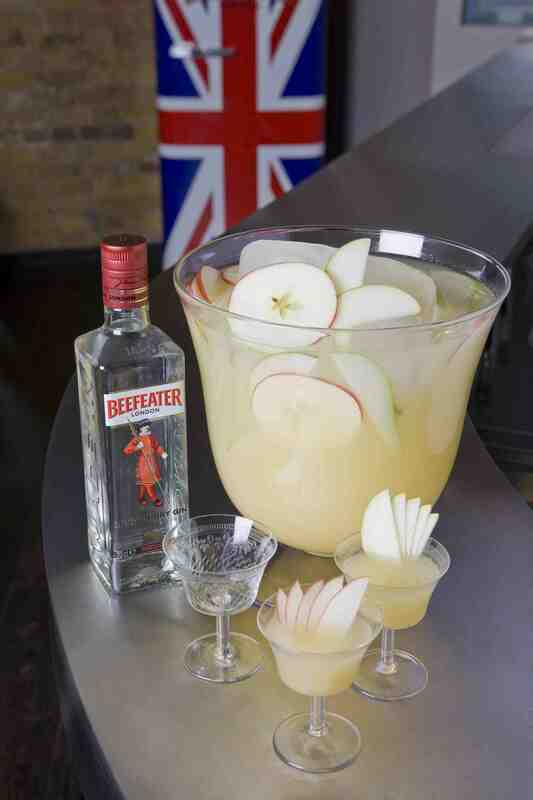 Exciting news from Pernod Ricard USA! 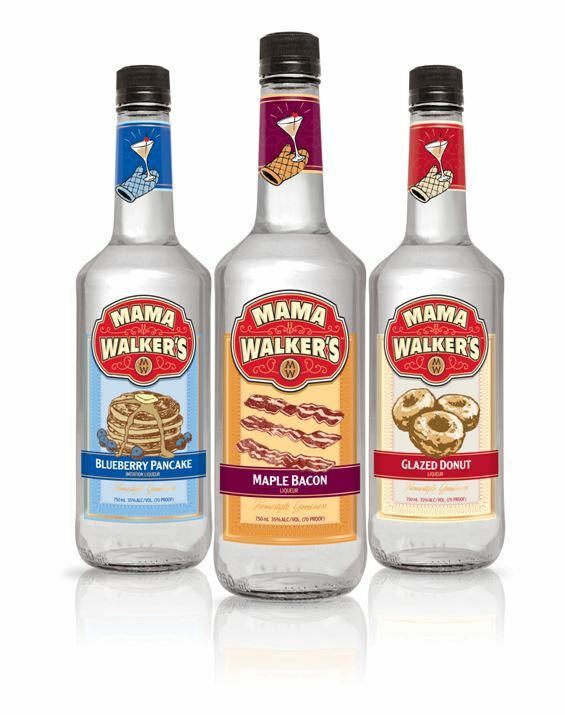 New York, NY (March 20, 2013) – Pernod Ricard, the premium spirits and wine company, is expanding its portfolio this spring with the debut of Mama Walker’s, a proprietary new line of three delicious and breakfast inspired liqueurs. Available in Maple Bacon, Blueberry Pancake and Glazed Donut flavors, Mama Walker’s is designed to inspire the nostalgia of homemade breakfasts. Mama Walker’s™ Maple Bacon – somewhat woodsy with a faintly burnt smokiness on the nose followed by a textured body that’s slightly crispy and smoky. The finish pairs savory flavor with understated maple sweetness. Mama Walker’s™ Blueberry Pancakes – fresh on the nose with an instant and inviting aroma of blueberry. The subtle sweetness on the palate is followed by lingering hints of maple syrup and butter pancake that mellow towards the end. Mama Walker’s™ Glazed Donut – offers the warm aroma of fresh-from-the-oven glazed donuts. For the nose, a nice bit of vanilla. 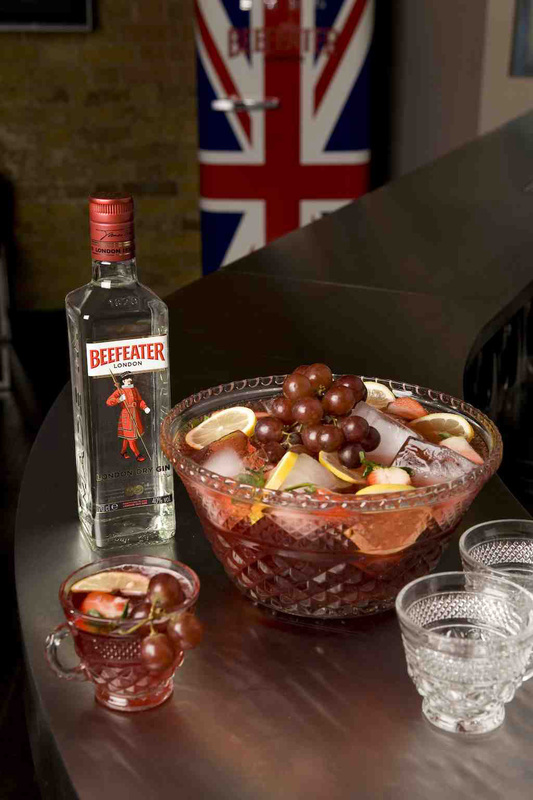 For the palate, a sweet bread sensation and a finish that leaves a lingering trace of subtle sweetness. The Mama Walker’s package incorporates a retro look that perfectly complements its taste profile, including an image of an oven mitt holding a martini glass displayed on the neck of the bottles. POS materials, also designed in the retro theme will be available to support the launch of Mama Walker’s Liqueurs at retail and on-premise. In addition, sampling events (where legal) will help spread the word and engage consumers with this distinct new line of cordials – along with digital outreach through Facebook and a dedicated website. Mama Walker’s Liqueurs (35% ABV) will hit retail in March of 2013, and will be available in 1L, 750ml and 50ml bottle sizes. The suggested retail price is $12.99/750ml. New York, New York (March 5th, 2013) – Pernod Absinthe, the original and most authentic absinthe ever produced, will honor National Absinthe Day today with a dedicated event in New York City and celebratory cocktails at select bars and restaurants across the country. A classic spirit that was banned in 1912 – and lifted 5 years ago this summer – absinthe has long been an inspiration for artists, writers, and bartenders alike. On National Absinthe Day, Pernod Absinthe invites cocktail lovers everywhere to enjoy this unique spirit, a drink that is known for driving the cocktail renaissance in the United States and abroad. Pernod Absinthe is a high proof spirit distilled from Grand Warmwood, fennel, and anise. Its unique light green hue, herbaceous nose, and creamy sweet anise dominant taste characteristics come directly from these three plants. Pernod Absinthe offers the below tips to help demystify absinthe, and encourages cocktail lovers everywhere to enjoy one of the special absinthe cocktail recipes the brand has created especially for this annual celebration. Pernod Ricard USA is based in Purchase, New York, and has roughly 850 employees across the country. Pernod Ricard USA urges all adults to consume its products responsibly and has an active campaign to promote responsible drinking. For more information on this, please visit: www.acceptresponsibility.org. Let the St. Patrick’s Day celebrations begin! It seems that St. Patrick’s Day celebrations are not limited to March 17th anymore. As soon as the calendar reads March 1, the green, white and orange flags and posters take over the inside of bars and restaurants, and pub crawls and parades take over city streets. Being half Irish, I have no problem making St. Paddy’s a month long celebration, because let’s face it; the Irish know how to have a good time. From now until March 17 I want to help spread the word that there are other festive Irish drinks out there beside green beer (although I do have to admit that I have had my fair share of green colored concoctions). 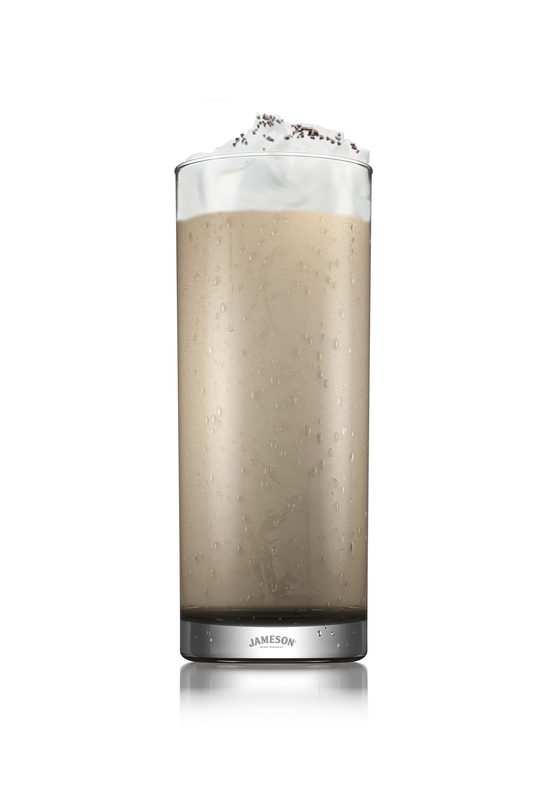 Shake vigorously and strain into glass with ice. …The majority of the bartenders filed back into the General Session room to take the written portion of the BarSmarts exam (a 100 question test that required a 70 or higher to pass) while another group of bartenders headed upstairs to complete the practical portion of the test. The practical portion of the exam was one that Paul Pacult described as an event that “could be a reality show” and he was completely accurate on that! The room was set up with 11 individual bar stations, fully stocked with tools, liquors, garnishes, ice etc. Each station also came equipped with a BarSmarts judge holding a clipboard, ready to be served. As 11 students at a time entered into the practical room, they were given a minute or two to become familiar with their bar, and then it was testing time. Each student had 8 minutes to prepare the 3 drinks that their customer (BarSmarts judge) asked for, while paying attention to proper ingredients, proper technique and proper bar etiquette. It was clear they had all spent plenty of time studying and practicing, as they looked prepared, but I was nervous just watching these guys! It did however make me very proud of Cocktail Culture’s own Stephanie J., who completed the BarSmarts Advanced exam last year. 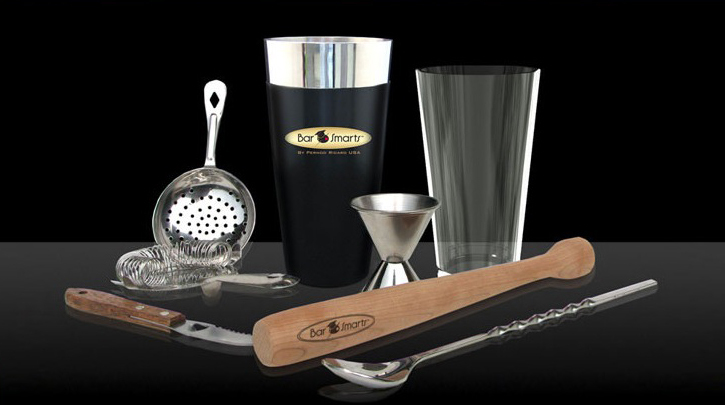 You can read about her experience with BarSmarts here! I am so glad I had the opportunity to observe such an awesome event (thank you Pernod Ricard USA) and hopefully the next time I attend I will be participating in the exams instead of just observing! If any of you are interested in signing up for BarSmarts (and I highly recommend you do) check out their Wired (online) program as well as their awesome Advanced program. Bartending enthusiasts rejoic e! BarSmarts Wired, the online bartender training program, will be FREE throughout May and June! And, yes, it is halfway through May already, but there is still plenty of time to participate – and you don’t want to pass up on this opportunity! Cocktail Culture has spoken plenty of BarSmarts programs (just click on the tag “BarSmarts” to read some of our other coverage), so here’s your nickel-and-dimed version: Pernod Ricard USA and Beverage Alcohol Resource, LLC, continue to team together to present the BarSmarts Wired and Advanced courses. Under the tutelage of the likes of Dale DeGroff, Paul Pacault, David Wondrich, Steve Olson, and Andy Seymour, bartenders in the program cover topics such as recipes, spirits tasting notes and tips, and alcohol history. But that’s only the tip of the iceberg. Much of the program also focuses on cocktail technique and best service practices for those in the bartending profession. There are still more perks! Signing up for Wired will earn you a complimentary messenger bag and complete set of professional bar tools (as pictured above) give you access to an online plethora of resources, including a workbook, video library, 4 tests and a final exam. And did I mention it’s completely FREE? Dually for you cocktail enthusiasts, Wired is an exciting program in that you get to learn and practice the craft from the comfort of your own home and on your own schedule. It doesn’t get much more practical than this! If you have more questions about BarSmarts Wired or Advanced, I encourage you to visit the FAQ page or feel free to leave your questions in the comments or via email, and our very own BarSmarts graduate (Miss Stephanie Jerzy) will be happy to help you out. As my initiation to the Cocktail Culture team, I will be signing up to try my hand at the program as well, and am very excited to get started, especially since it’s free! Hope you all will join me in signing up for these amazing courses, for no cost at all, and good luck to all who participate! 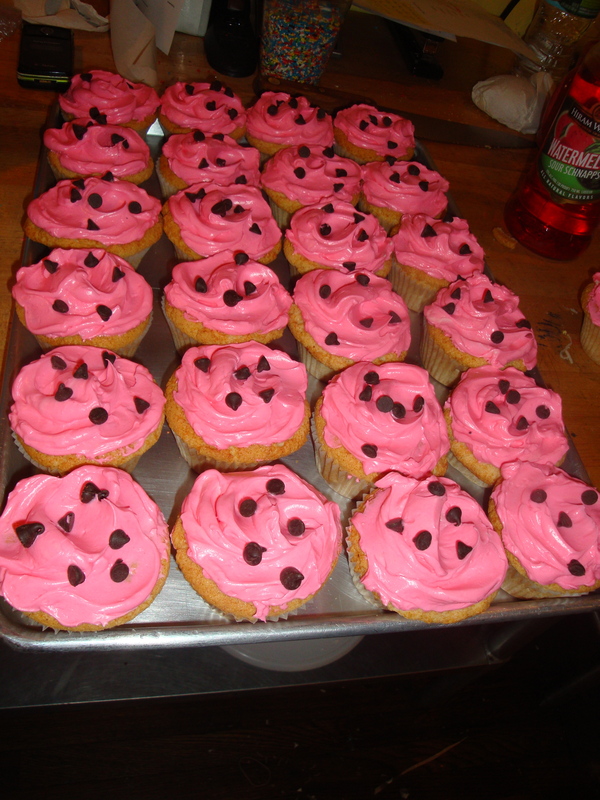 Cupcakes baked by sugar Sweet sunshine bakery in NYC with a Hiram Walker Watermelon Satin Buttercream icing. How can you not resist?! I like to think I’m somewhat of a better than average cook and can hold my own in the kitchen with relative ease. But, humbly, I admit that I’m at a complete loss when it comes to the art of baking. Maybe it’s that I stink at math and can’t quickly calculate various ratios. Or that I’m one to veer far from the directions laid out in front of me. But when I got wind that a New York City bakery chose to use Hiram Walker Watermelon Schnapps as an ingredient in a cupcake icing, I knew I HAD to have the recipe! sugar Sweet sunshine, a NYC-based bakery, developed a Watermelon Satin Buttercream cupcake icing for a Hiram Walker-hosted Happy Hour at Pernod Ricard USA’s NYC office. And, according to Brand Manager Sarah Sercia, the cupcakes were a tremendous hit! Using a standing mixer, beat 1lb butter until smooth and softened. Set bowl aside in a cool place. In a small saucepan combine 1-1/2 C of the sugar with ½ C cold water. Cook on stovetop over medium high heat, stirring occasionally. After sugar has dissolved and sugar syrup is bubbling, place a candy thermometer in the syrup and let simmer until firm ball stage is reached. (248-250 degrees). While sugar syrup is cooking, separate 5 eggs. Place whites in another mixing bowl. Beat until foamy, then add the cream of tartar. Beat on medium high until soft peaks form when the beater is raised. Gradually add the remaining ½ cup sugar and continue to beat until stiff peaks form. Turn mixer off. When syrup has reached the firm ball stage, remove from heat and carefully pour the liquid into a glass measuring cup to stop the cooking. Pour a small amount of the syrup into the egg whites. Turn mixer on and beat on high for 5 seconds. Turn mixer back on and pour a larger amount into the egg whites. Beat on high for another 5 seconds. Repeat until all the syrup has been poured. Beat on high another 10 seconds and then turn the mixer to it’s lowest speed and continue to mix until the mixing bowl is completely cool. When mixing bowl is cooled, add butter one spoonful at a time, mixing on medium high speed until each addition is incorporated. When all butter has been added, beat on high. Do not worry if the icing looks thin or curdled during the mixing process. It will come together in a smooth silky texture. Lower speed and drizzle in the liqueur and food coloring to desired shade of pink. Are you drooling on your keyboard yet?